Fundraisers should write longer letters and include more material in their direct-mail packs, according to the chief executive of the marketing company WPN Chameleon. 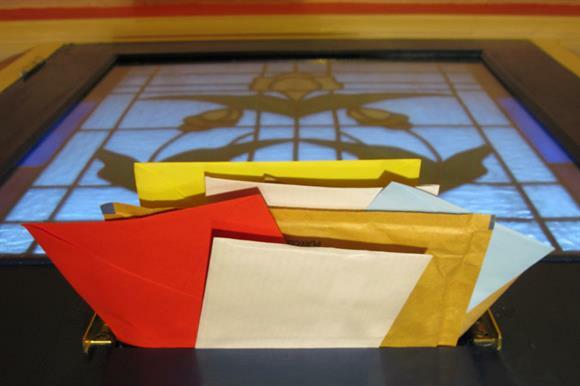 Speaking at a seminar on direct mail hosted by Royal Mail and WPN Chameleon in London last week, John Watson said that, in his experience, longer letters to potential donors produced a higher response rate and were more cost-effective. He said charities needed to be more prepared to test out ideas on donors to find out what worked and to be guided by the results. Postage costs had gone up by 53 per cent since 2008, he said, and the cost of producing the materials, such as printing, had gone up by only 18 per cent, so fundraisers were looking to reduce costs by cutting what they put in the mailings. "So you’re paying a lot more for your postage and you’re putting a lot less message in that envelope than you otherwise would have done, and I think it’s time to start thinking about that," he said. "The story is what direct mail is all about, and as the cost of reaching the audience rises surely it needs an even more powerful story to make up for that cost." Watson recommended that fundraisers should include longer letters, separate pieces of paper with testimonials or letters from beneficiaries to aid the storytelling. He said it was a myth that people hated to receive large mailings and never read all of the materials. "More paper is good," he said. "There is a direct correlation in all the tests I’ve been involved in between success and the amount of relevant paper inside the envelope. "The more story you’re telling, the better it is, and long copy works better than short copy. "Everyone thinks you should have only three paragraphs in the letter, but I think you should have four pages and more details to explain your story." This worked, he said, because a good average response rate was about 3 per cent. In order to boost that to 5 per cent, fundraisers needed to concentrate on the two extra people out of 100 who could be persuaded to back the cause, rather than trying to appeal to everyone, he added. He said there was often a lot of resistance to large mailings from within charities. "Trustees hate them because they say no one reads long letters," he said. "They’re right. No one does read long letters, apart from the two people you’re trying to reach." Watson also recommended including the ask for money very clearly at the top of the letter, rather than burying it at the bottom, saying that this too would appeal to the 2 per cent of people who were likely to be persuaded to back the cause.